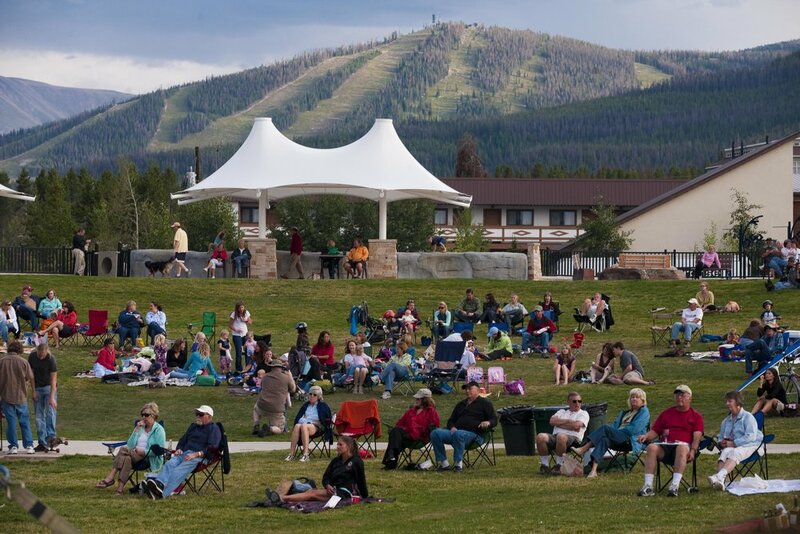 In the Colorado rocky mountains Winter Park's Hideaway is home to a beautiful band shell stage shelter amphitheater with grass seating for summer concert events, beer and blues festivals jazz music, playground with integrated metal and stone boulder art by Chevo Studios, climbing wall, heated walks, outdoor fire pit fireplace, picnic shelters, restrooms, ski town winter activities sledding and tubing hill, skate park and river creek water access nature play. Our team was hired by the Town of Winter Park to create a design for the Hideaway Park in downtown Winter Park. Our creative design team has been able to bring year-round events into one downtown space: Winter Park now has a sledding hill and a summer amphitheater event space. Custom detailing express a mountains and rivers theme in numerous elements, forms, and colors. Tucked-away seasonal and musical elements created fun play areas to be discovered. There is also a skate park and street-facing climbing wall along with custom restrooms, large shelters, and new shaded plazas with seating, fire pits, and nearby play elements. In 2017 a permanent stage was added to the center of the amphitheater as part of a master phasing plan. It is this phase, surrounded by extensively landscaped grounds, an expansion the park, and multi-level plazas. Hideaway Park has become an iconic part of the Winter Park atmosphere and is now available for year-round use. The addition of the outdoor stage has brought increased visitors throughout the spring and summer, especially for the numerous concerts and annual events.